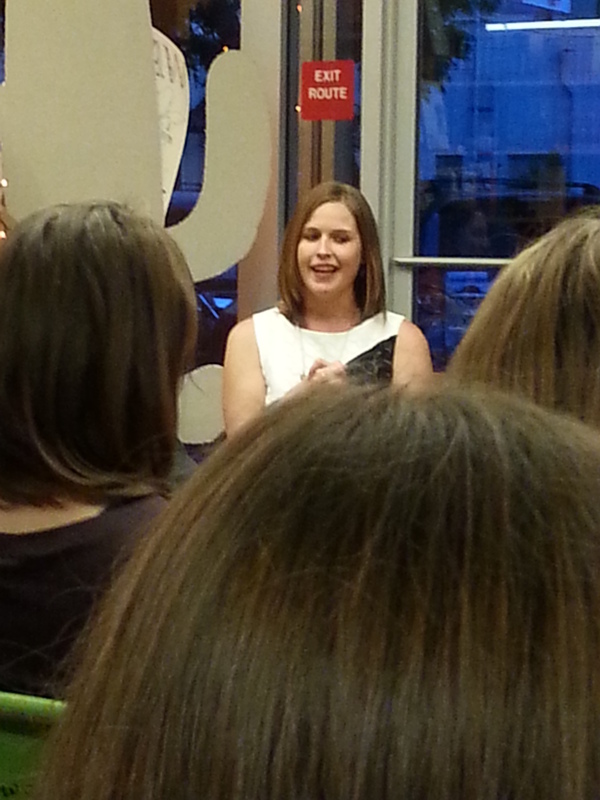 Yesterday I went to a book event at a book store. 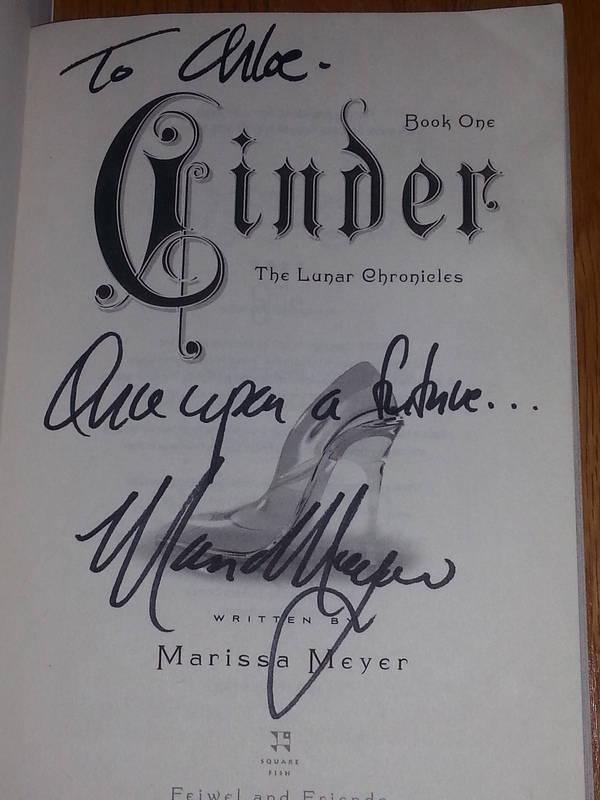 The authors who were featured were Gennifer Albin, Nikki Kelly, Jessica Brody, and…wait for it…Marissa Meyer! 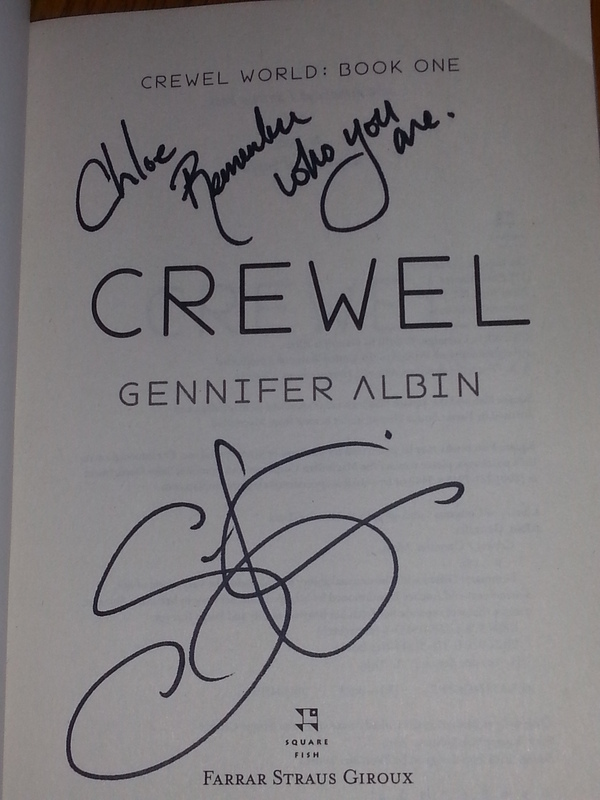 I brought all of the books currently published in The Lunar Chronicles and bought Gennifer Aldin’s book, Crewel, except it will be added to my ever-growing TBR. BUY HEADPHONES. This is very important for a writer. Why? While Gennifer Albin was NaNoWriMoing, she did not have headphones to listen to music [and block out the sound of the man next to her, who was watching YouTube, without headphones]. If you tell yourself you have writer’s block, you are only encouraging your stuckness. [I’m paraphrasing.] Jessica Brody does not believe in writer’s block, because of the above stated reason, which I find to be a very interesting opinion. For me, acknowledging that I have writer’s block can help me, so I can realize the issue and find a solution. British people think American cheese and chocolate aren’t as good as cheese and chocolate in the UK. The reason for this being that our cows are unhappy. Or so Nikki Kelly says. I hope you learned something from that. :) All of the authors had very good advice for authors, despite the ideas above. They all were very intelligent, funny, and informative. 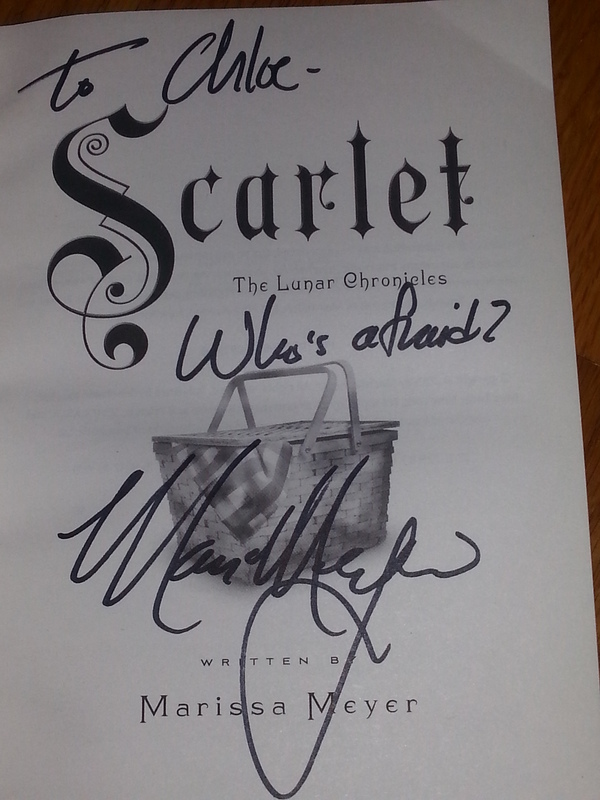 The Lunar Chronicles swag, courtesy of Marissa Meyer. 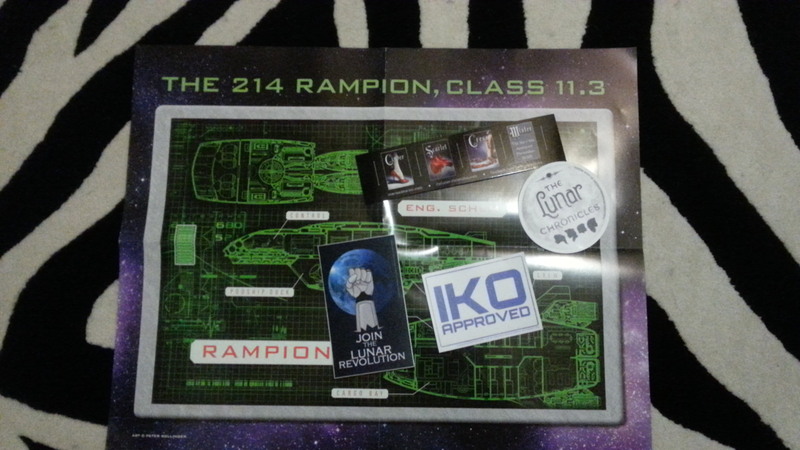 Contents: Rampion poster, 3 Lunar Chronicles stickers, and bookmark. 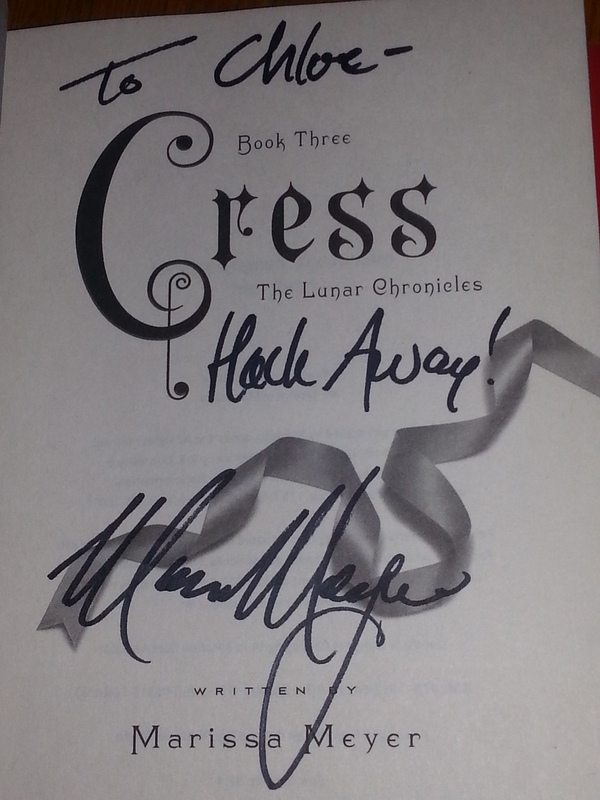 The Crewel World Trilogy swag, courtesy of Gennifer Albin. 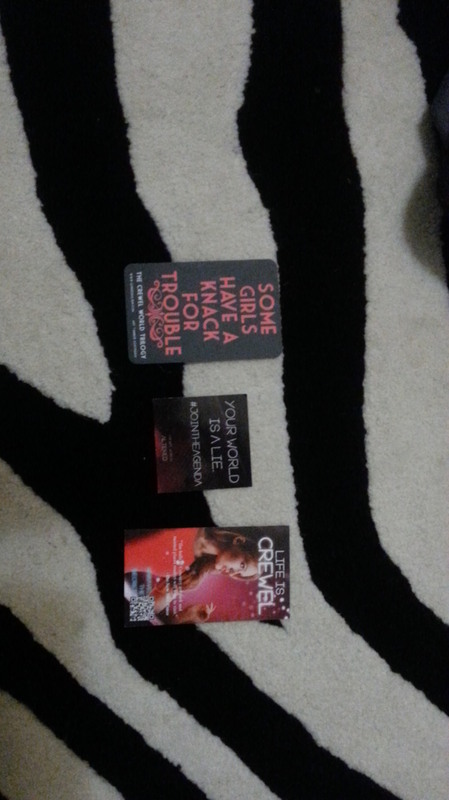 Contents: “Some girls have a knack for trouble” paper card, sticker, and “Life is crewel” paper card. 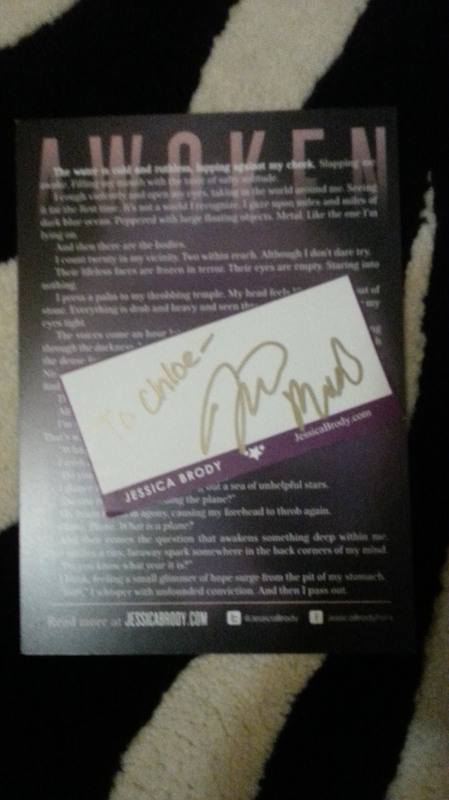 Although I did not buy her book, Jessica Brody gave me some swag, too! 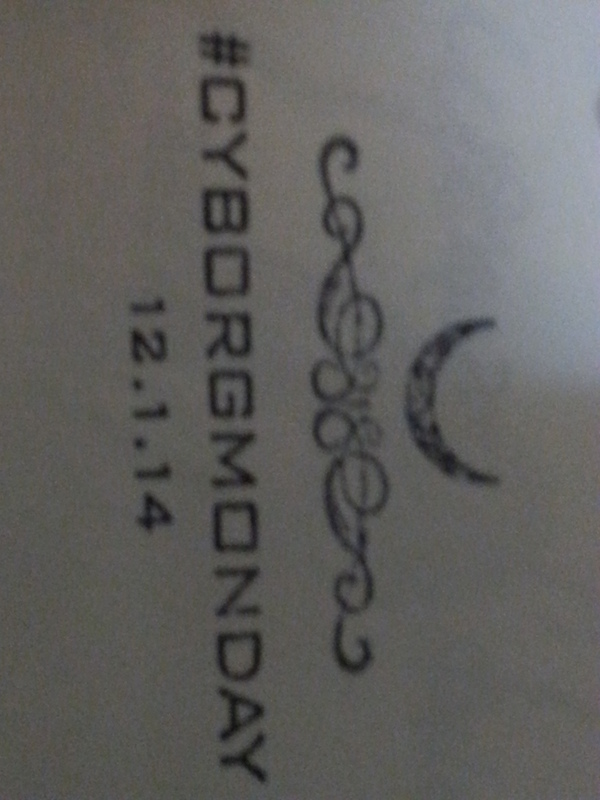 Contents: Excerpt from the first chapter of “Unremembered” and sticker with her signature to put in the book when I buy it. 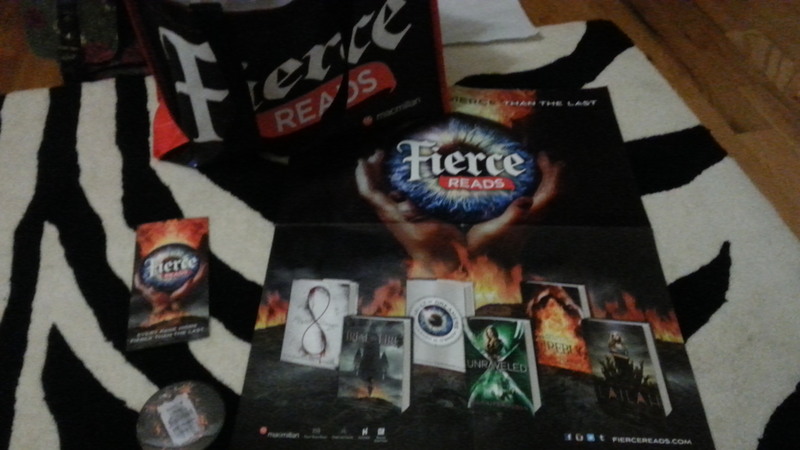 Fierce Reads swag, courtesy of Fierce Reads. Contents: bag, poster, bookmark, and “Fairest” mirror. An extremely horrible picture of Gennifer Albin. 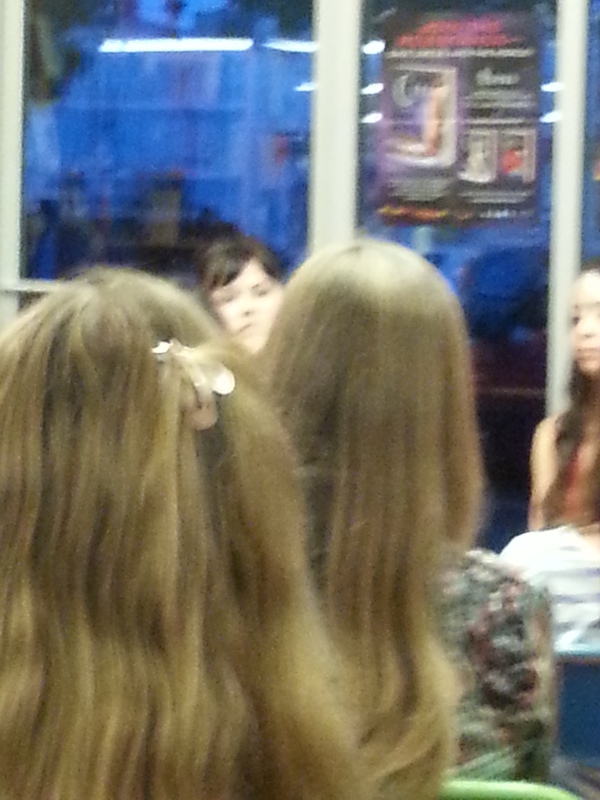 [And lots of random heads.] 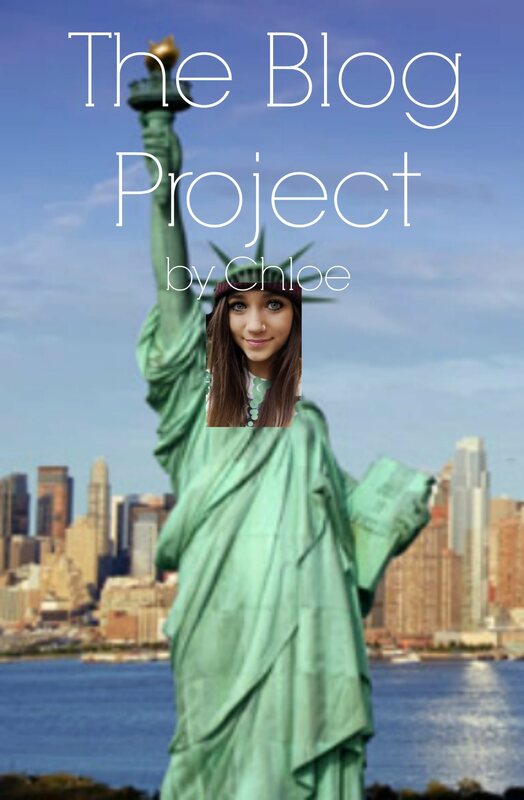 I apologize immensely for the bad quality. I met a very nice girl, Connie, at the book event. 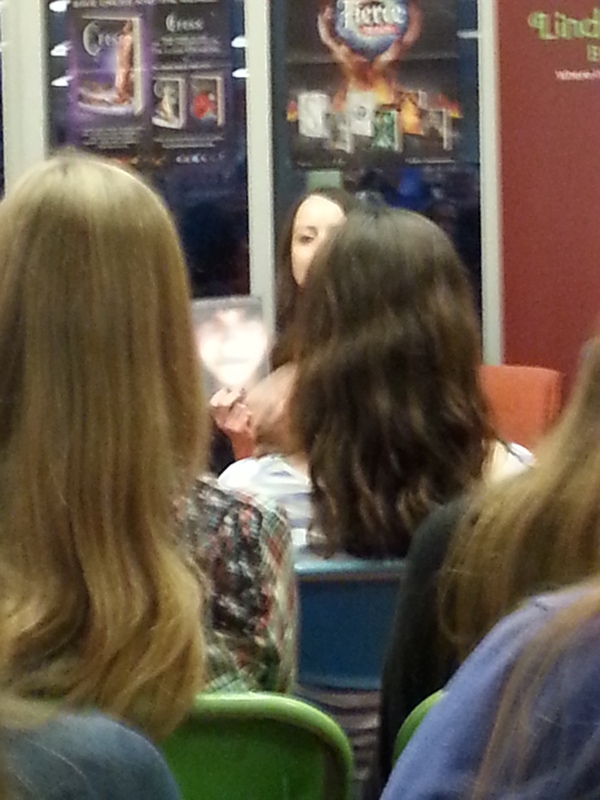 She has a blog, called The YA Book Thief. 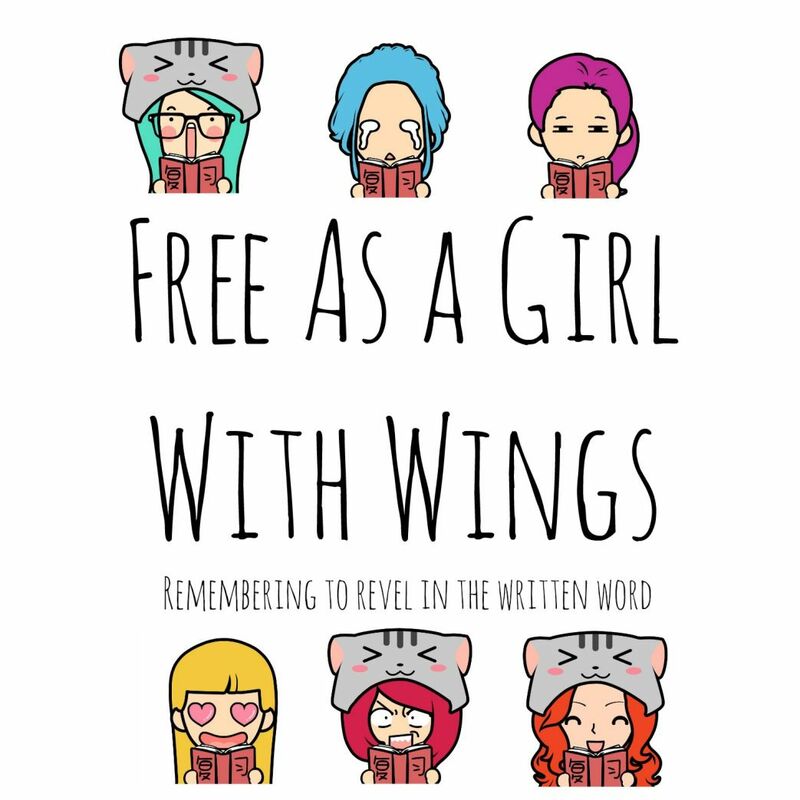 She’s a new blogger; you remember what is was like to be new, too, don’t you? 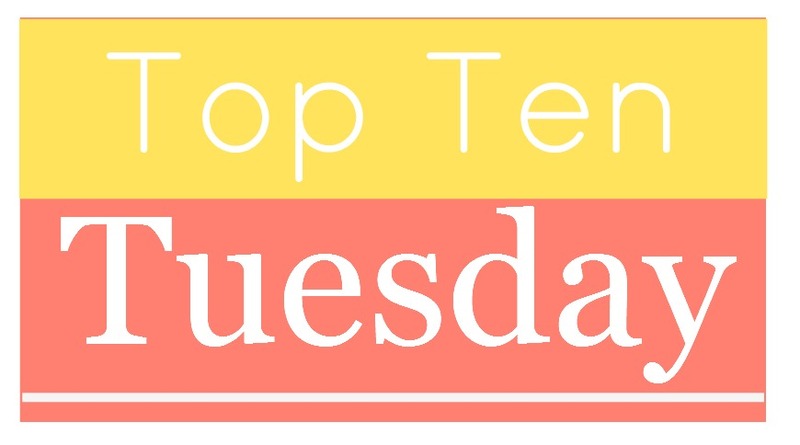 Pop on over to Connie’s fabulous blog here and follow her! OMG, OMG, OMG!!!! 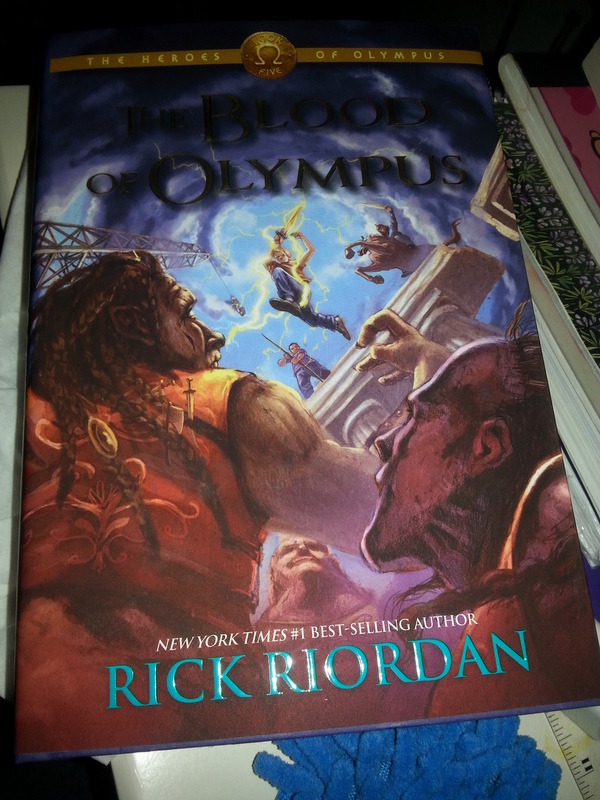 The Blood of Olympus just came, like two minutes ago!!!! Right after this post, I’m reading it!!!!! 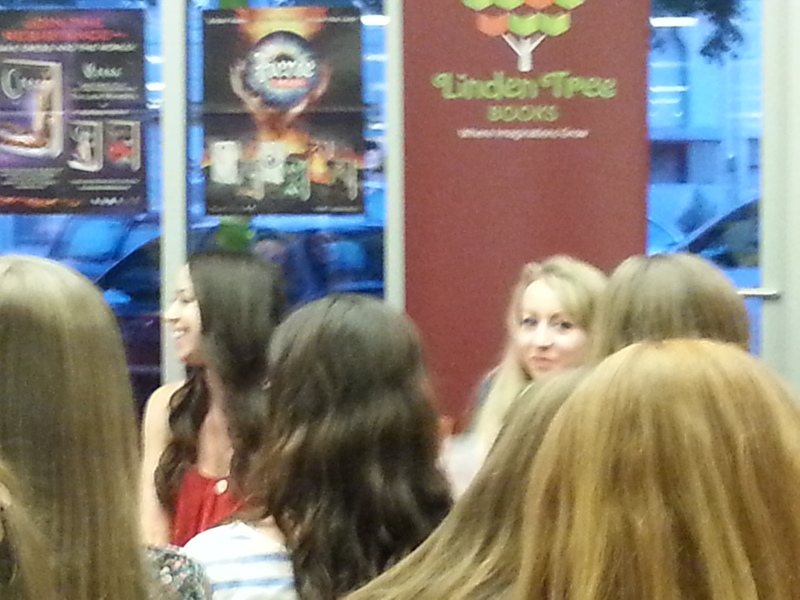 Have you ever been to a book signing or event? What was it like? Tell me in the comments below. I’m camping right now. Amongst bugs. I’m probably reading a lot, maybe writing if my computer is charged enough. I’m also probably drinking lots of iced tea. You probably know by now that I love that stuff. I’m also probably not loving nature. So, yeah, I’m not crazy about nature. 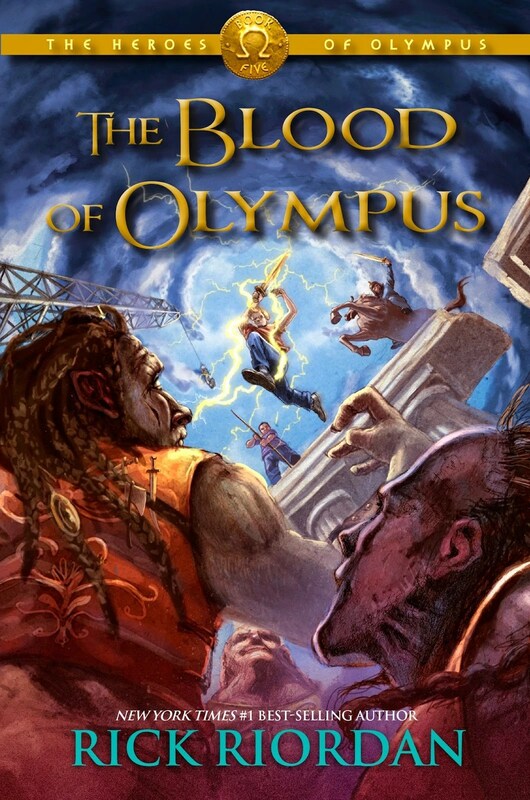 TOMORROW THE BLOOD OF OLYMPUS IS RELEASED!!! I have a TON of books, and I won’t be able to review them right after I read them. So I will choose three-six to review when I get back…from the forest. Now, I have to go write another post. There will be no TTT.